Understanding the value of the provisioning services provided by plant genetic resources (PGR) is essential to inform the development of policy to support conservation actions. As part of the EC-funded project, Farmer’s Pride (www.farmerspride.org), which aims to establish a network of stakeholders and sites for in situ conservation and sustainable use of PGR in Europe, partners in the project are working to identify cost-effective strategies and policies to improve the PGR conservation and use system in the region and establishing a dialogue to communicate recommendations to policy-makers. A fundamental element of these investigations is to improve our understanding of the public and private benefits associated with PGR conservation and use, with a view to stimulating greater efforts to bring about the step change needed to secure these resources for the future. This element of the project is led by Adam Drucker at Bioversity International and involves the implementation of a stated preference Total Economic Value (TEV) choice experiment survey instrument in a number of partner countries to explore the market and non-market values associated with agrobiodiverse-related products, and willingness to pay (WTP) by members of the public for such agrobiodiverse-related goods and services. Interviews are being conducted with selected stakeholders (farmers and other custodians of PGR diversity, and members of the general public) to obtain production system information(e.g., areas cultivated by variety and their dynamics over time) and cropvariety preferences (in terms of familiarity and willingness to support conservation), along with general attitudes towards environmental/developmenttrade-offs. 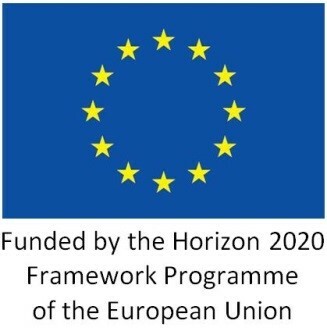 Farmer’s Pride (www.farmerspride.org) is funded under the Horizon 2020 programme of the European Union and is coordinated by co-founding members of the TFA, Nigel Maxted and Shelagh Kell at the University of Birmingham, UK. Wainwright, W., Drucker, A.D., Maxted, N., MagosBrehm, J., Ng’uni, D. and Moran, D. (2018) Estimating in situ conservation costs of Zambian crop wild relatives under alternative conservation goals. Land UsePolicy 81, 632–643.